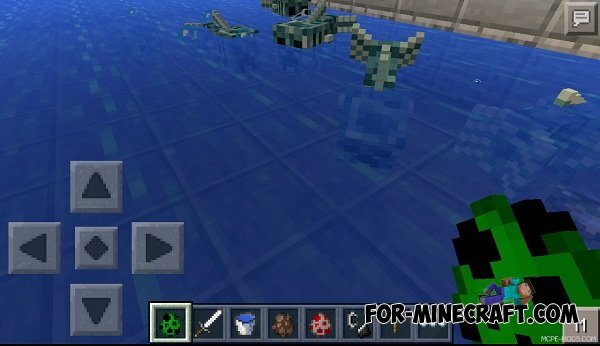 Aqua Creepers Mod - modification adds an unusual type of creeper. Aqua Creepers has a regenerative form of a fish, he will swim in the water, as well as ordinary creeper retains its properties explode. Now the world's MCPE to live becomes even more dangerous. Originally mod was created for the PC version, which developer is MrCompost. And now found another creator, ElSirKael, who made a similar mod, but for Pocket Edition version.